Thank you! Love your work too! 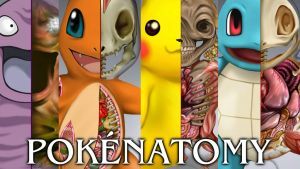 If you enjoy my anatomical artwork please check out the PokéNatomy Kickstarter! 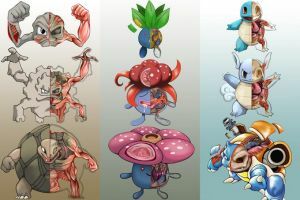 Now you can get the scientific world of Pokémon in print in a high-quality, fully illustrated, unofficial guidebook, designed to help people of all ages understand the power that's inside! Love it! Thanks for sharing Christine you are very talented! You have such a beautiful and unique gallery!! You have a great eye for unusual photographs! I just LOVE them! Your pictures are amazing! Which is the reason why I want to ask you a question. Me and my friend have a school project and we really need pictures of five faces. And you have beautiful once. Could we borrow five pictures and when we uppload them on the internet can we give you credit in the text? Great page! Your pics are amazing! Permission to showcase you on [link] ? OMG! Hello! My name is Katie and i am studying photography! 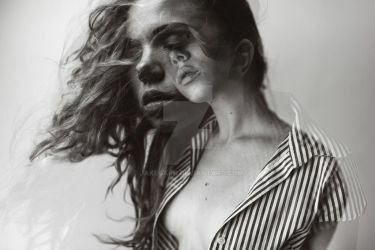 I came across your website and absolutely loved your illustration photography! I am now making a book on you and how i have experimented with your style! I have also had a a go at trying to recreate your images. (: Please take a look!! good evening! i looked through your photoes and i'm so amazed! they're perfect, really! Just wanted to tell you that one of your photograps inspired me so much that i just had to do my own version of it!